Tulsa Gal Designs: New Items! I'm rather stoked about my latest arrival from Spoonflower. OK, I am ALWAYS stoked about anything I get from them LOL Test swatches excite me as much as yards of fabric that I am going to make something out of. 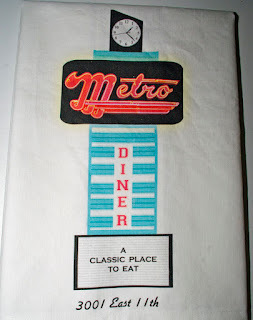 I got on the Dish Towel Wagon awhile back, using the 54" wide Linen-Cotton Canvas fabric they offer. You can get 4 nice-size towels on 1 yard so, if you have a place or places to offer them for sale, it can be a great incentive as well as fun. Of course, these would also make great personal gifts to give, too. 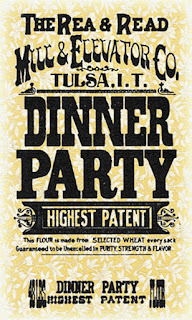 I began with these at the same place I started out with dish towels years ago: flour-sack style. Only back then I was doing embroidery on store-bought flour sack towels. Lots of work, even when I moved up to machine embroidery. But also a lot of fun. Let's face it: I absolutely love vintage style anything. I volunteer at the local historical society, helping produce educational programs that are taken out into the community. 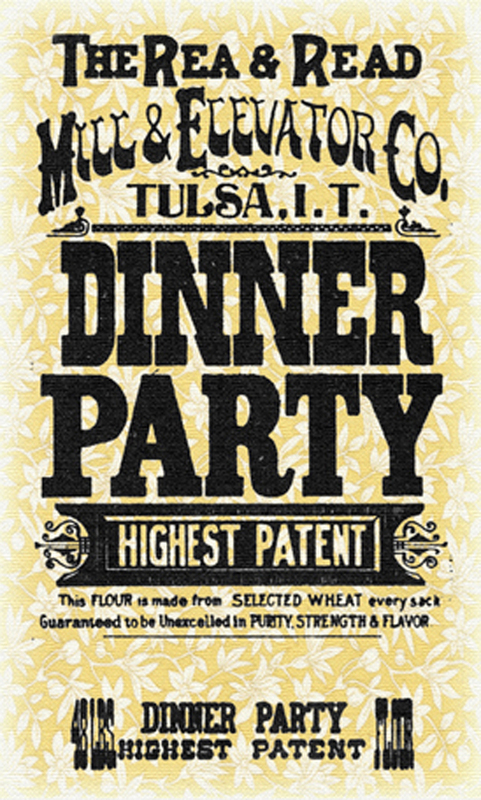 During research of a program about "historical food" I stumbled across an ad in a 1902 cookbook for Dinner Party Flour, from our local mill. I loved it and kept a copy of it. I think you see where I'm going here :o) With the help of Photoshop, I used vintage "wallpaper" that looks just like the old flour-sack fabric, and placed the ad image on it. Voila! That got me started and I've been riding that Dish Towel Wagon for several months now. 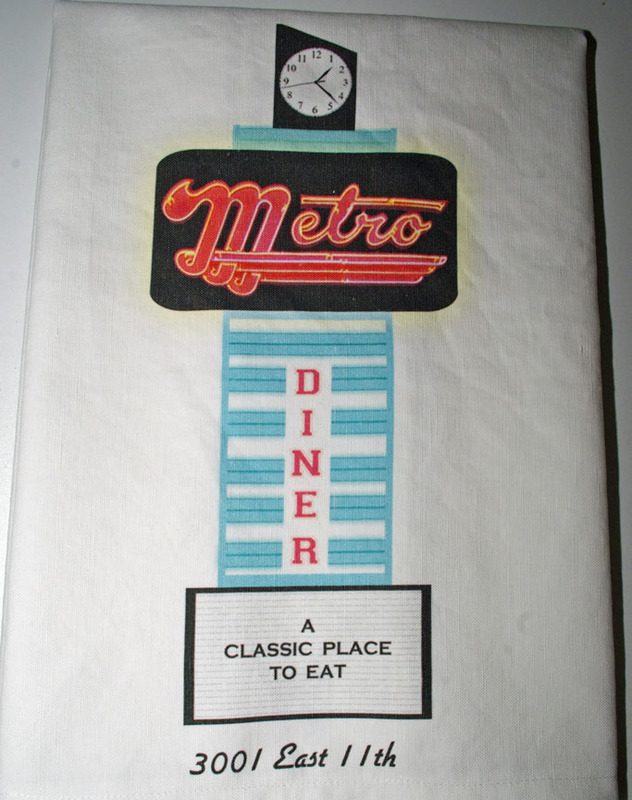 I did a towel series of four "nostalgic" no-longer-here restaurants that were very popular back in the 1940's. I loved re-creating the images and/or enhancing the ones I found in my collection of 1940's booklets. 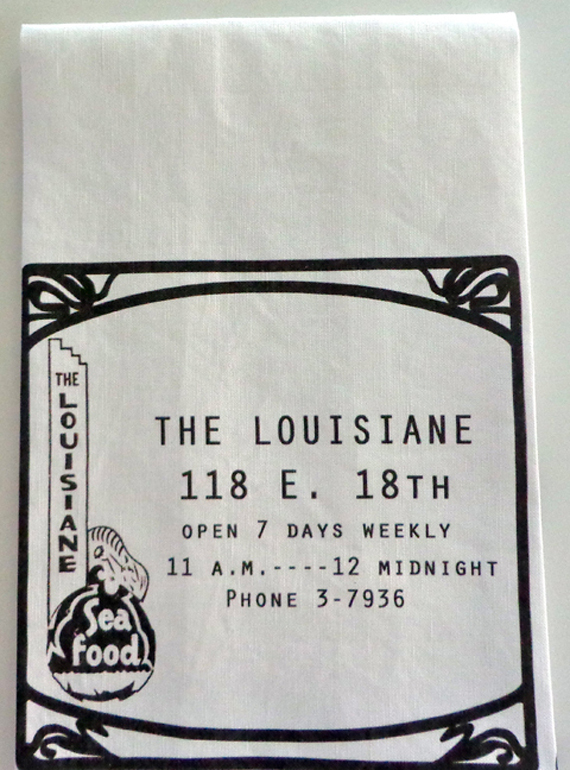 Just this week I got my 2nd yard in the mail; these feature four fondly remembered restaurants that people a little younger (ie my age) will remember. When I receive a new yard, the first thing I do is wash and dry it. Spoonflower uses great quality products and I have never had any of the ink come out in the wash, but the first wash removes the stiffness that all new fabric has. After it comes out of the dryer, I cut out each of the 4 towels. 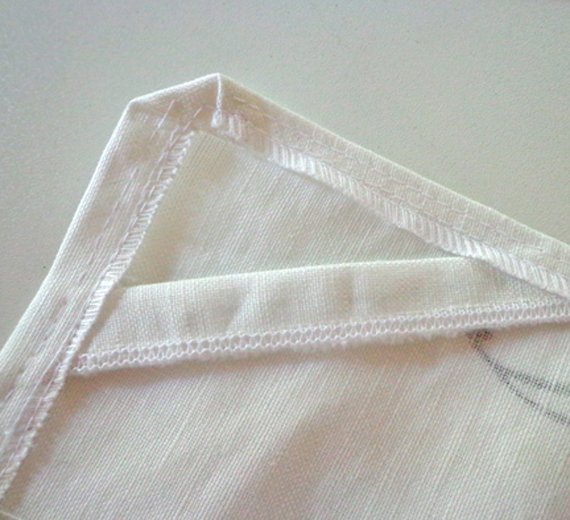 I then finish the edges on each one (I serge them), fold over the edge, press and stitch. I also include a little tab for hanging. Some of these items can be found in my Etsy Store.